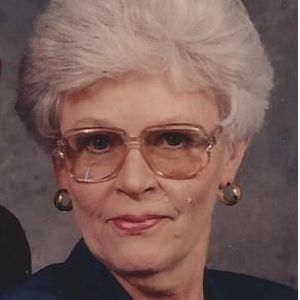 CENTRAL CITY – Mrs. Nancy Day, 80, of Central City, KY died October 16, 2014 at Muhlenberg Community Hospital. Nancy was born April 26, 1934 in Central City to Herbert and Annie Millard. She was married to Charles Day, her best friend. Nancy graduated from Central City High School, attended Murray State University. She worked at Johns Hopkins University in Baltimore Maryland, First National Bank in Central City and retired from New Farmers National Bank in Glasgow, Kentucky. Nancy was a member of First Baptist Church in Central City. She was preceded in death by her husband, Charles Day; sisters, Grace Eades, Virginia McGowan, Anna Laura Wells, Betty Draper; brothers, Wayne Millard, Bob Millard, and infant brother Joe Millard. Survivors include brother-in-law and sister-in-law Jack and Mary Day and several nieces and nephews. Funeral Services will be Sunday, October 19, 2014 at 2:00 PM at Tucker Funeral Home, Central City with Rev. Bob Lowery officiating. Visitation will be from 11:00 AM to 2:00 PM funeral time. Burial will be in Fairmount Cemetery. Nancy and Charlie supported Salvation Army and others. Expression of sympathy can be made of your choice. The beautiful and interactive Eternal Tribute tells Nancy's life story the way it deserves to be told in words, pictures and video.